On Friday, January 25 we held our Winter Winemaker’s Dinner in our private event space. A calm, wintery vineyard with a beautiful sunset created quite a picturesque backdrop to set the tone for the evening. With over 60 guests in attendance, the event began with a cocktail hour with passed Hors d’oeuvres: Antipasti Skewers, and Roasted Grape Chutney Crostini. 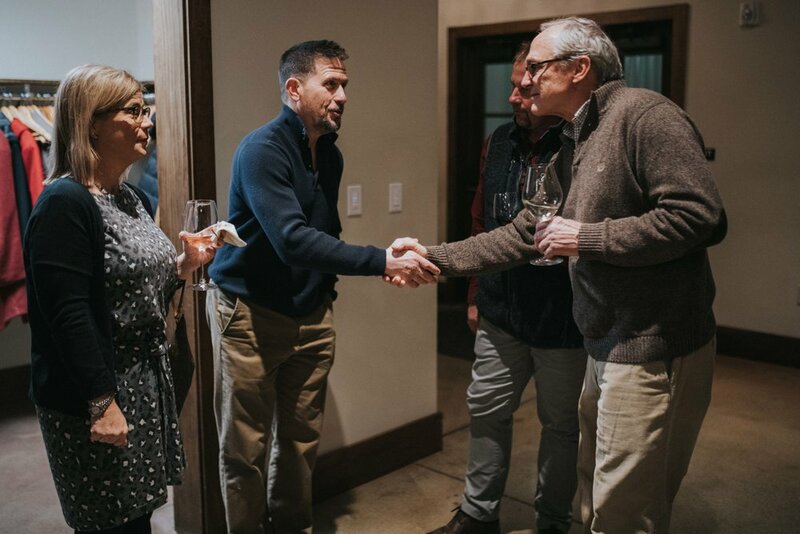 Guests enjoyed these light bites and drinks of their choosing while our Winemaker, Michael Vorauer, introduced himself and mingled with every group or couple. 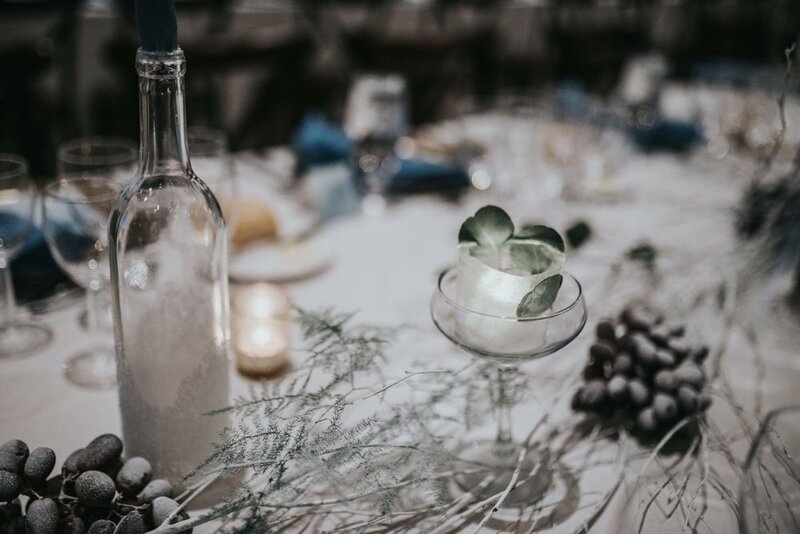 When the doors opened for dinner, guests walked into a Winter Wonderland scene beaming with elegant ambience from the winter-inspired décor and place settings thoughtfully prepared and executed by Owner Andrea Folino, and the Folino Estate events staff. 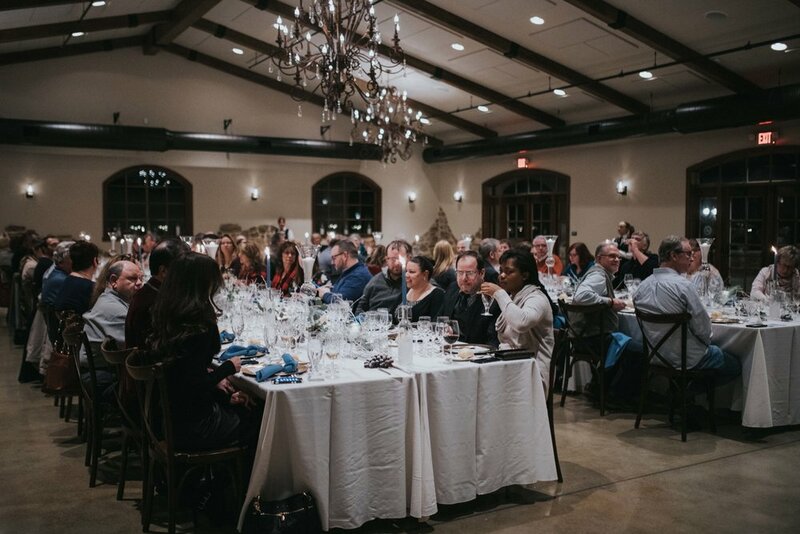 Upon entry, Winemaker’s Dinner attendees received a complimentary, exclusive glass of the new Estate Label Wine- Pinot Grigio, that has not yet hit the shelves or been introduced at Folino Estate. 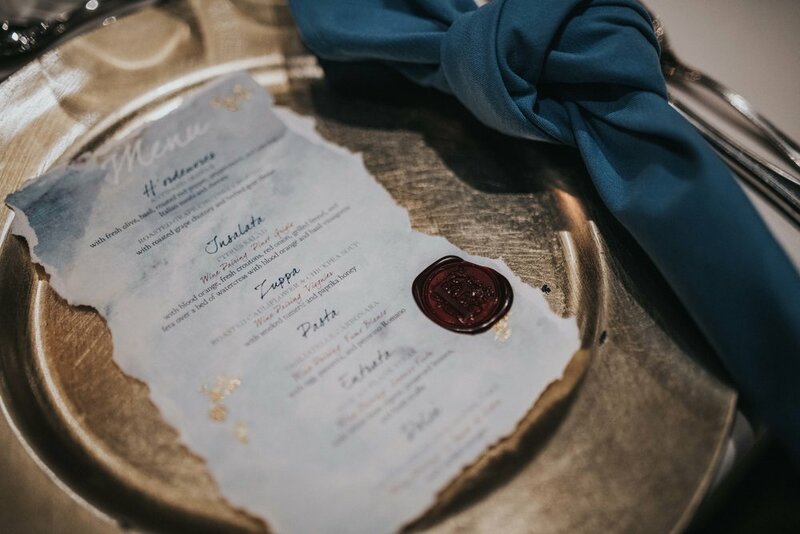 Each course was introduced separately, with wine poured in sequence for guests to fully enjoy and understand how the characteristics and profile of the wine complimented each dish. Michael walked guests through each pairing while providing wine education, background, and good conversation throughout the dinner. 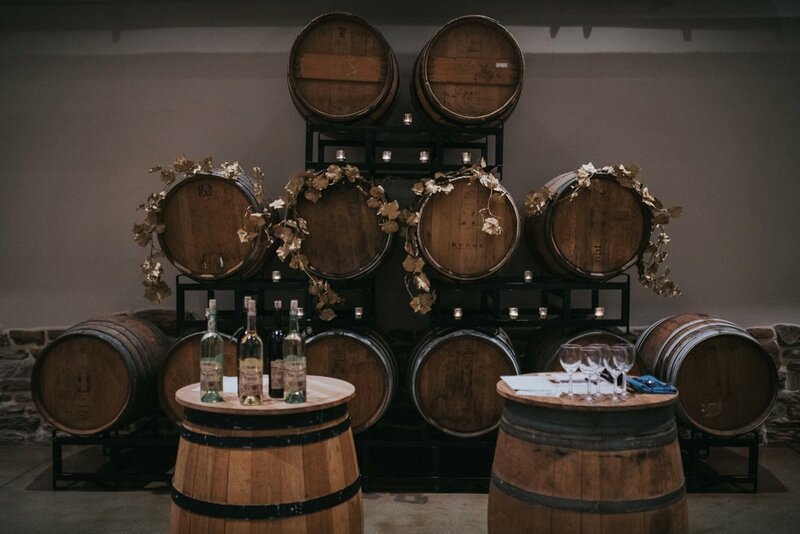 This wine-ing and dining experience is perfect for a serious foodie, wine lover, or anyone genuinely interested in the age-old craft of winemaking. This event is the excuse you’re looking for to catch up with friends and family while enjoying gourmet food, fine wine, and great company. The rustic elegant scenery coupled with the overall experience provided by Michael and our chefs makes for a simply romantic date night, or a unique experience to share with long time friends. Have you been to our Winemaker’s Dinners? If not, we are sharing another chance for you to see what they are all about! Our Valentine Winemaker’s Dinner will be held on February 16 from 6 pm – 9 pm. 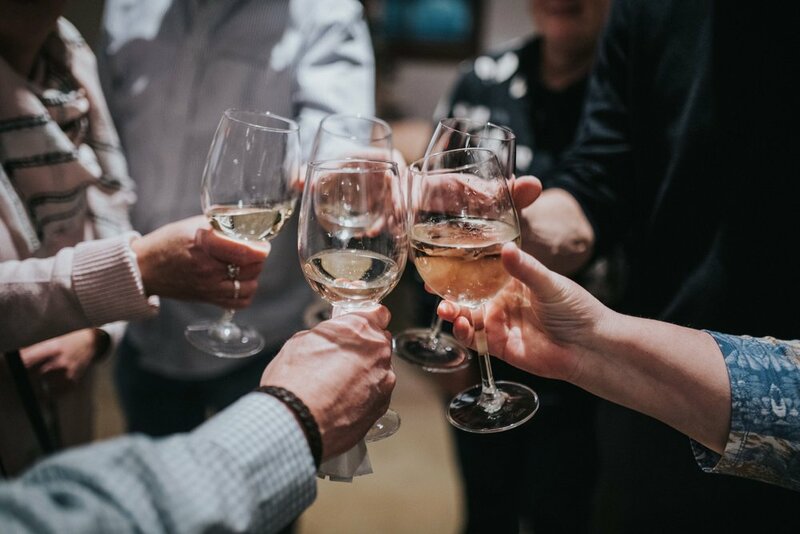 The evening will be led by our award-winning Winemaker, Michael Vorauer, and will be accompanied by live jazz music from Dolcetto: The Glenn Hoffman Trio. 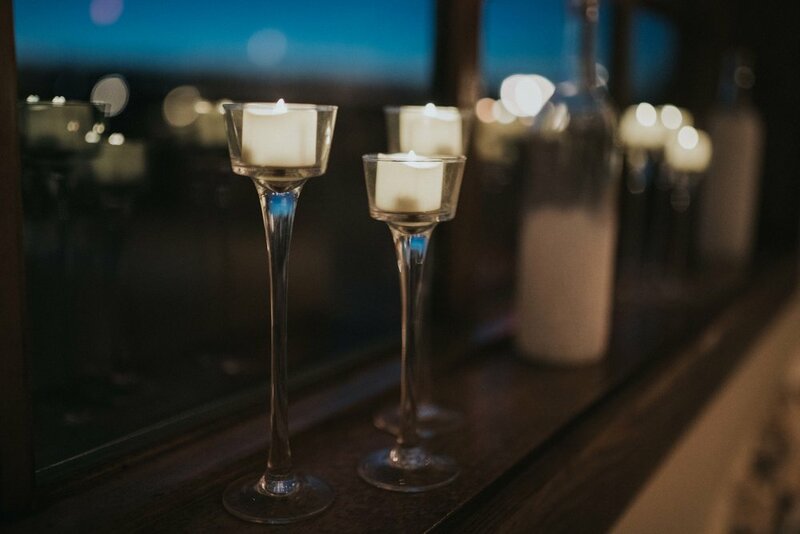 This the perfect Valentine’s Day date night opportunity for a candlelit dinner featuring a five-course menu, with each course paired with a Folino Estate wine. Ladies will even receive a petite floral bouquet! For more details, to view the full menu, and to purchase tickets, please click here. Thank you all who attended our Winter Winemaker’s Dinner. We hope to see you again soon!